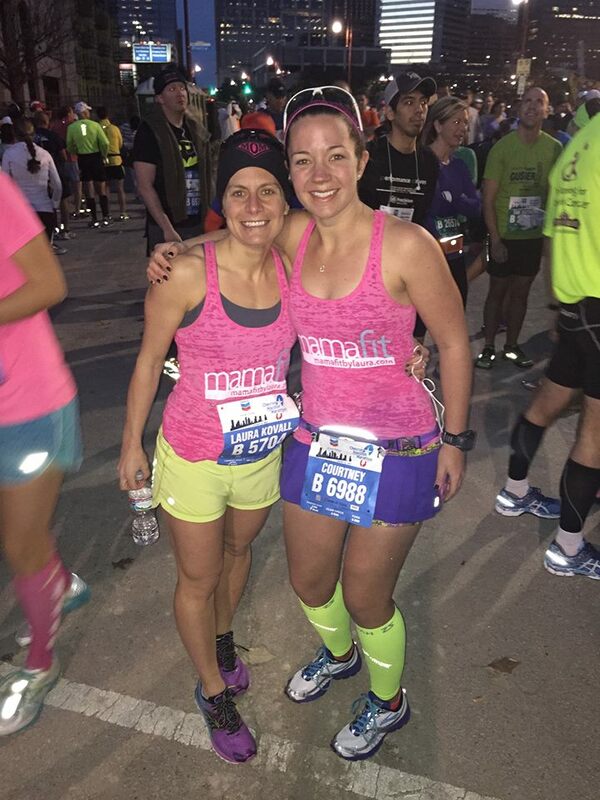 When I was 20, running my first marathon, I ended up with tendonitis in both knees and a stress fracture. I had done no cross-training whatsoever, and my longest run prior to the marathon was 16 miles. I relied on my youth, being in good shape, and the hills I ran at Cornell. 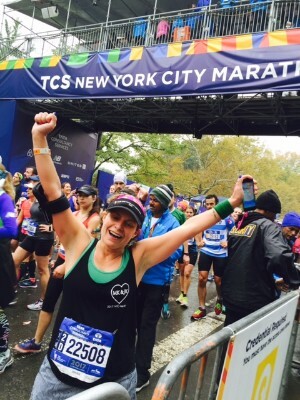 When I was 29, running my second marathon, my parents thought I was “crazy”. I was “so injured” the first time, and had spent the beginning of my spring semester in Italy in a boot hobbling on cobblestones streets because of the stress fracture. Fortunately, by adding cross-training and appropriate training and footwear, I ran my second, third, fourth and fifth marathon successfully, with no injuries. I teach at the New York Road Runner Run Hub once a month my “No Sweat” class. Since NYRR obviously attracts a lot of runners, when I ask if anyone has any injuries and strains I hear the “typical” runner saga; knee issues/pain, tight hip flexors, underactive glutes, shoulders hunched over, back pain. I give my standard intro to the class; that it “targets the muscles that will strengthen the area around the muscles which are essential to running.” Essentially, your glutes, your core, and your hamstrings. My first marathon was now 20 years ago; literally half my life. Now, in training for my sixth marathon, I notice two main obstacles. One is mental; given my profession and how many hours I spend on my feet, when I am not teaching or training, at times it is challenging to feel motivated to move. There is also an element of “been there, done that” and do I (really) want to do this again? The other obstacle is the reality that, it just takes more effort to get to the speed I used to have. It takes a bit longer to recover. With this in mind, I am planning on running the NYC marathon again this November, with the goal of a “PR” (personal record). My best time was back in 2010, when I was kidless, not working in fitness, and I ran it in 3 hours 50 minutes (averaging 8:46 minute/mile over the 26.2). I have my work cut out for me. And what worked at age 32, with no kids, in a profession where I was not on my feet, will not work when I am 40, with a 6 year old and as a fitness professional. With this in mind, I decided to work with a running coach. Initially, I thought that the running coach would help provide me with accountability. I did not realize, however, that we were literally going back to the basics; form. Just like with squats, lunges, planks and deadlifts, how you run makes all the difference in terms of what muscles you target, how much effort you exert, and, of course, injury prevention. While most people learn how to squat and plank from a fitness professional- either a trainer or a group fitness instructor- most people learn how to run on their own, and use the form that they used when they were playing whatever sports they played as a child. For me, I was a lead-off hitter in softball and shortstop, a point guard, and a tennis player. I am used to quick accelerations, which explains why even when I run distance I usually go out too fast. So far, I have met with my coach three times. As I have been running for close to 40 years, making changes is challenging. On my 8 mile run last Friday, I did notice some preliminary benefits in some of the tweaks already made. As this 16 week training program commences, my motto “Life is a marathon not a sprint” is ever so pertinent. It does help to have a goal- a mission- to keep me focused and driven. In my post last summer “2017 Marathon #fivebeforeforty #fuckcancer” I discuss my decision to run in honor of my close friend from college’s parents who both passed away during the spring of 2017. While this marathon does not have the same personal meaning as last years did, it is important for me, as a fitness professional, to still have my own personal fitness goals. That will be the focus for my sixth marathon.